In this week’s lesson we continue looking at the perfect tense, this time using regular -re and -ir verbs. We also think about the different uses of the perfect tense. 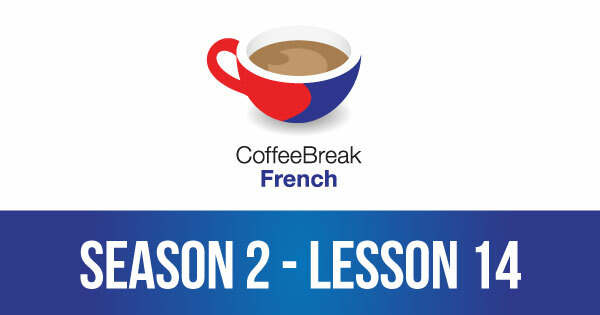 Please note that lesson 14 of Season 2 was originally known as lesson 54 of Coffee Break French. We have renumbered the lessons of each season as lessons 1-40 to make things more simple for our listeners. these help so much, they always help me learn it so easily! thank you! Mark et Anna, Merci! You make doing the dishes and cleaning up the kitchen so much easier. I think you should be called ‘Kitchen Clean Up French: for Moms who have no time for coffee breaks’ Love you guys! Thank you! !